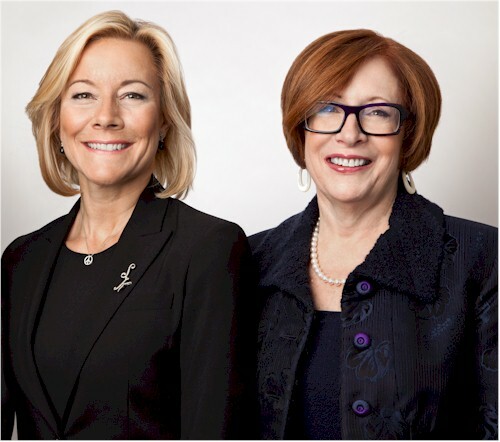 Principals Susan Kurz Snyder and Alisa F. Levin, leading industry veterans, formed Greene-Levin-Snyder two decades ago with now retired partner Karin L. Greene to deliver the highest quality search expertise at the most professional and ethical levels. We provide significant value to our clients and candidates by sharing the knowledge, relationships and creativity of our entire search team, most of whom are former practicing attorneys. We work as an integrated, cooperative group, placing exceptionally credentialed lawyers at prominent law firms, financial institutions and corporations across the globe. Greene-Levin-Snyder also has a close association with Stanford Resourcing, an international search consultancy, with whom we have worked for many years as they mirror our values and approaches. Our enviable law firm and in-house roster of clients, in conjunction with our extensive knowledge, sound judgment and market savvy, attracts an ever-growing candidate base of the highest caliber. Employers recognize that candidates presented by Greene-Levin-Snyder consistently possess the required education, experience and skillsets. Likewise, our candidates are always confident we understand exactly the sorts of opportunities in which they would be interested. Recognizing our uncompromised commitment to professionalism and integrity, our clients and candidates know we work harder and more creatively than our peers. Providing personal, individualized attention to our candidates and clients is the hallmark of our company. The results speak for themselves.